Here is the Excel undergoing my "Decreasing Scope" test. I have already executed this test with the Manson Supreme, Spade, and Genuine Bruce. All did very well but the Manson reined supreme for this test. As you may recall from video #24, the Manson somehow held the boat at 3000 RPM with a scope of only 1.3 to 1. The Excel takes second place. It held 2750 RPM with a scope of 1.5 to 1. The Excel got an unlucky break at the 1:35 minute mark of the test when the boat drifted about 15 or 20 degrees out of alignment with the anchor. This caused a small pivoting of the anchor that may have worked against it's final outcome. The Bruce comes in third as it also held the boat at 1.5 to 1. (video #25) However, it got a lucky break when I cut the power just as it was releasing at 1.7 to 1 scope. 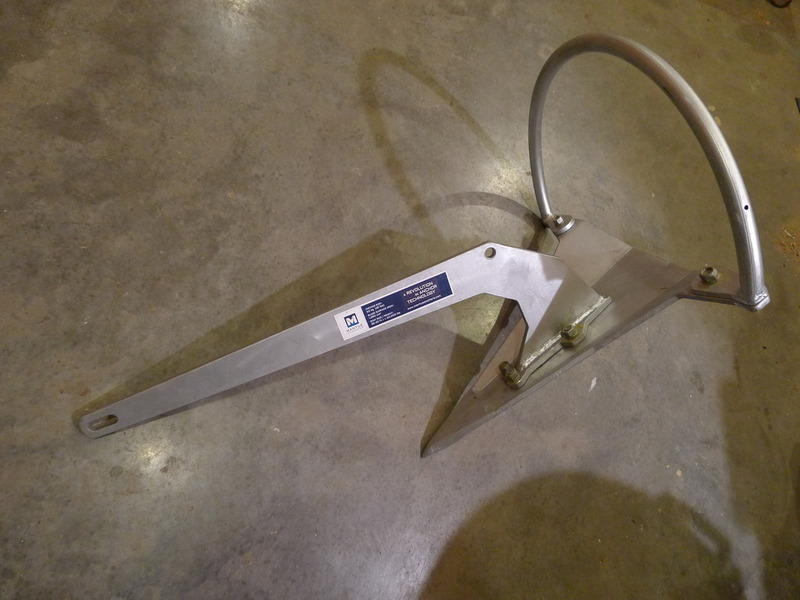 The Spade held 2500 RPM at 1.7 to 1 scope. (video #24, second half). The reality is that there are no "losers" here. All these scopes are ridiculously short and in no way represent any sort of normal anchoring. Once it breaks loose and starts to drag, it's interesting to see how it keeps trying to rebury itself, even at that 1.5 scope. It also demonstrates how nice your new camera jig is! Terrific footage! I liked how it obviously was a great design for "digging in" as opposed to "ploughing" performance. Proof positive that that not all "plough" designs drag under high load. The Excel test figures for the super high holding performance are really impressive, you just have to give this design 3:1 scope, and more is better. Thanks for your efforts showing these anchors Steve, really valuable stuff here. Panope, thank you for your efforts on this thread. You've shown remarkable videos of anchors setting and responding to changes in direction of pull with long and short scope. Your contribution to all cruisers, along with the underwater photos by Noelex and Seaworthy Lass, provide more real world information than all of the anchor tests I've seen. I am particularly impressed that you do not show any bias to your own anchors. Your demonstration of the Anchor Right's Excell which is not easily available in North America seems to put to rest some criticism of that brand too. Please accept my gratitude for your excellent efforts. I agree that a clean anchor is a good thing. Hard for me to say conclusively (yet), but I think it is a real benefit if the anchor needs to reset after being dislodged from the seabed. I have tried my best to be bias free but I am sure it is impossible to be 100% (I am human). It sure helps to not have a financial stake in any outcome. As far as "my anchors" are concerned, I have so many now I don't even know which one to keep for myself! As some of you may have noticed, I was one of six lucky Mantus winners in last months giveaway. There is a half price 45 pounder being shipped to me as we speak. I've been ill with pneumonia for the last couple weeks (just got the antibiotics today) so things will speed up again soon. At some point I will compile a "chart" or something that will give an "at a glance" summary of the results. Could it even be standard on an american built vessel? Really great stuff Panope. thanks. You didn't do one of the old Delta ploughs, or did you and I missed it? Canibul, I have not yet tested a Delta but would be very welcome for the opportunity. I did test a 50 lb. CQR (copy?) and it clearly does not belong in the group of top tier anchors. The CQR tests can be found in video #10 and #11 of my series. I have recovered from a bought with pneumonia. 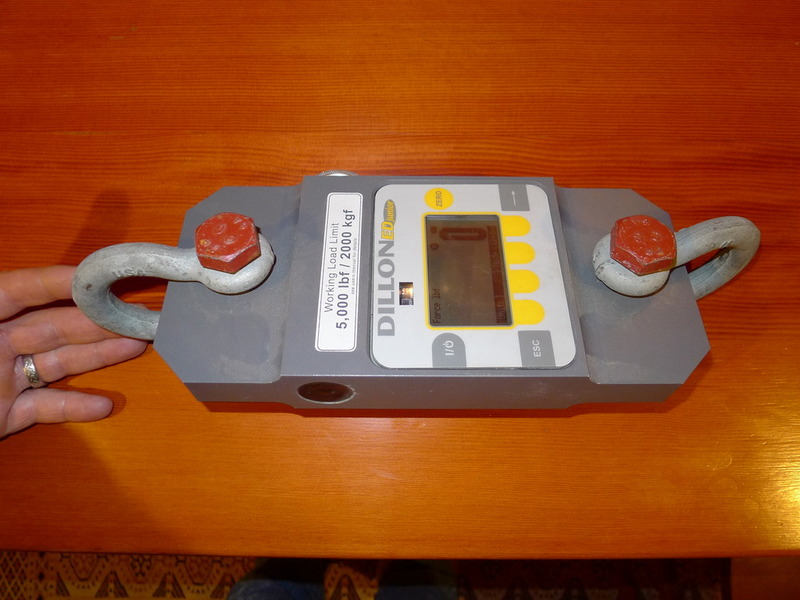 A friend of mine has sent (from out of state) a digital load cell tester. Tomorrow I will conduct a dockside, bollard pull test of Panope's pulling force in forward and reverse at various RPM. I now own a 45 lb. Mantus anchor. The anchor arrived in a very thin package, dissembled. The workmanship of the anchor is good. This backyard engineer sees a sound structure although it is noticeably less robust than the Manson or Excel. 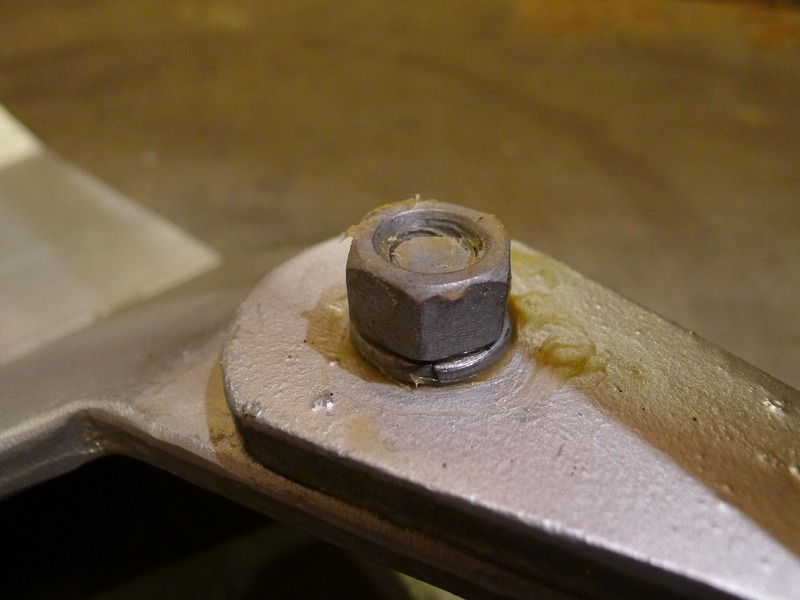 Two of the supplied bolts were a bit too short (in my opinion) and one of the nuts was defective. A quick stop at the hardware store solved both those issues. Test coming soon. Stay tuned. Here is an older anchor test video that I found interesting. Not sure when it was filmed but it appears to pre-date the arrival of the "new-generation" anchors. Congrats on the load tester! We can not wait to see some pulls done with it.